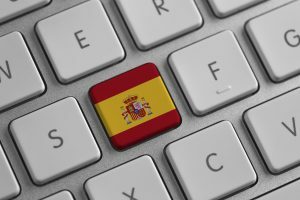 When it comes to taxes in Spain, the only thing you need to know about is IVA, the Spanish version of value-added tax or VAT. IVA is a tax that you will be paying on virtually everything, from meals to clothes and electronics to hotel rooms. The value-added tax in Europe is quite lar ge. IVA in Spain is 21%. There are also reduced rates of 10% and 4%. The 10% rate applies to entertainment, sporting events, health products and purchases of new real estate. The 4% rate applies to necessities such as foods. If you are not a resident of the European Union, you can get most of this tax back. Many stores in Spain help you get back the IVA tax that you pay. Such stores usually have a sign on the door that says “tax-free” or “duty-free.” If you do not see a sign on the door, you can walk into the store and ask a salesperson about whether the store offers tax-free shopping. If it does, a store clerk will fill out a form that you will be able to present at customs when leaving the country and get your money back.